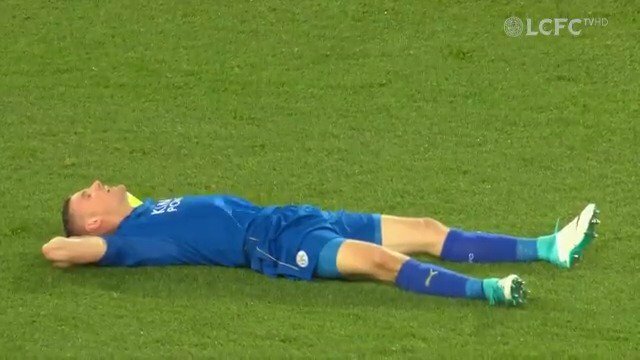 Former Leicester City goalkeeper Ben Hamer has admitted to “childish” behaviour during his first season at the club, in which he thought he was “untouchable”. Hamer spent four years at the King Power before moving to Huddersfield last summer, the 31-year-old enduring an unhappy reunion with his former team-mates on Saturday as City hit four at the John Smith’s Stadium. In the programme for the match, Hamer reflected on his time at City, recalling a difficult period in his debut campaign. After City were promoted to the Premier League in 2014, Hamer was signed by Nigel Pearson on a free transfer from Charlton, coming in as back-up to Kasper Schmeichel. But it was Hamer that was between the sticks for City’s first win back in the top flight, a 1-0 success at Stoke. After Schmeichel got injured around Christmas, Hamer enjoyed a run of seven games, but found himself out of the squad completely shortly after as Pearson brought in his old Middlesbrough team-mate Mark Schwarzer. “My dream was to play in the Premier League and once Leicester called and showed their interest in me, I was absolutely buzzing," Hamer said. "I thought it was a chance to play in the top flight, so I took it with both hands. “I went there with a bundle of confidence and got my chance early, did alright, a 1-0 win away to Stoke. I thought I’d have a sniff for the next game, but Kasper was back fit again. “Around Christmas time, Kasper was injured again, I came in and did ok, but then the manager brought in Schwarzer. “We got beat by Stoke and then I was back out of the team, so it was a bit of a difficult first season to be honest, but there were some highs. “When I got pulled out, at the time I didn’t really understand why. “If I’m honest, I was probably a bit naive and reacted a little bit childishly because I didn’t really know my role, obviously Kasper had been there for years and is still doing incredibly well now. “As time went on I had conversations and I began to understand my role, even though it wasn’t ideal, because everyone wants to play. “I took it on board into my second year and began to understand it all and enjoy my time there, but when you’re focused on achieving your goal, you don’t really listen to what anyone else says. “I was the number one at Charlton and had this mentality of playing every week. I trained all week to play on the Saturday. So that hurt me quite a bit and knocked my confidence. Hamer played 10 games in all competitions during his first City season, the same as in the following three seasons combined. Still third choice behind Schmeichel and Schwarzer, Hamer played no part in the title-winning campaign, and then made just one outing in 2016-17, the 5-0 Champions League defeat at Porto, with Ron-Robert Zieler backing up Schmeichel for most of the season. In his final year at the club, Hamer found favour under Craig Shakespeare and Claude Puel, and won the battle with Eldin Jakupovic to be Schmeichel’s number two. “I was in a couple of Champions League squads, but I didn’t play much that season (16-17),” he said. “I always did what was asked of me and then the year after Craig Shakespeare came to the helm and said he wanted me back in the team because he liked me around the place. Hamer was a well-liked figure at the club and maintains friendships with several City players. “I made some really good friends there,” he said. “When you spend four years there you spend every day with them and I’m still in contact with the likes of Ben Chilwell, Marc Albrighton, Andy King and Matty James. “It was a really good group; I’m still in contract with big Harry Maguire too. Sometimes in football you don’t come across people you stay in touch with, but I can count on both hands how many people I stay in contact with at Leicester.